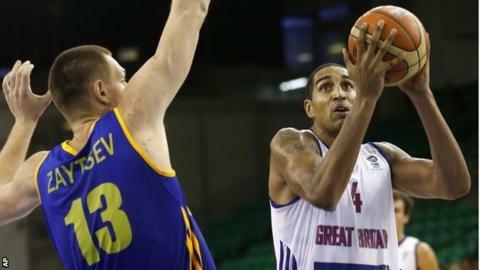 British Basketball will not appeal against UK Sport's decision to withdraw £7m of financial backing. Basketball had its funding cut to zero in February after UK Sport said it stood little prospect of winning medals at the 2016 Olympics. "While there may be a case for appeal, the costs associated with making that successful had to be considered," read a British Basketball statement. Synchronised swimming and water polo and also lost funding. Weightlifting initially lost funding, but had £894,000 restored after a successful appeal last month. Badminton, which initially received a cut in its £5.9m funding, had a £250,000 reduction cancelled on appeal. British Basketball said it would continue to fund both the men's and women's senior teams during the qualifying fixtures for EuroBasket 2015 as well as maintaining the Under-20 programme which has focused on the Tokyo 2020 Olympics. "We have been faced with making difficult decisions because the funding decision has made our situation challenging," said performance chairman Roger Moreland. "As well as giving the senior teams the chance to qualify for next year's EuroBasket finals, it is equally important to give the next generation more international experience and that is why the case for the Under-20 teams has been prioritised above off court issues." British Swimming said last month that it planned legal action against UK Sport after failing in an appeal to have funding for synchronised swimming restored.